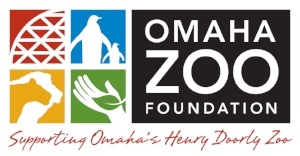 Support Omaha's Henry Doorly Zoo & Aquarium's mission: inspire, educate, and engage people to serve as lifelong stewards for animals, their habitats, and their conservation. $50 gives the giraffe herd their favorite "treat" - bananas. $100 allows a family of 5 to enjoy the zoo for a day. Conservation of the world's most precious species and habitats is at the core of the mission of Omaha's Henry Doorly Zoo and Aquarium. From rescuing elephants from drought-stricken Swaziland to creating protocol for increasing the population of Amur Tigers, Omaha's Zoo strives to inspire learners of all ages. Building first class exhibits to bring visitors closer to the animals in the Zoo's care, is one of the first steps in mission fulfillment and something that was at the forefront of rescuing the elephants. Preparing for their arrival included supporters of every kind. From every single donor who helped build the largest indoor herd room in North America, to the vet team who cared for them during transport, the multiplying effect of Omaha Zoo fans safely delivered them to their new home where they are thriving. Additionally, the genetic diversity offered by these elephants allows breeding efforts that will help sustain this species for generations to come.